The lens has a focal length of 45 mm. Depending on which camera the lens is used, the experienced and perceived focal length will be different. Please visit the list of compatible cameras below, it will provide the equivalent focal length you get on each camera. If you buy this lens it will come with a lens hood, whose model name is "HB-43". 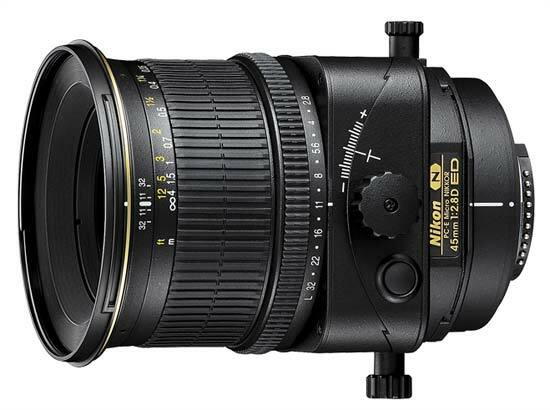 Text from Nikon: "This perspective control lens features tilt, shift and rotation capability, perfect for architectural, nature and commercial photography. Nikon´s Nano Crystal Coat virtually eliminates internal reflections across a wide range of wavelengths for even greater image clarity.